Singing with the Kids From Fame! 2016: Joined an Online Theatrical Club and am involved in various projects, one of which is a comedy musical created by Demelia Denton which is ongoing. I have helped create songs and performed them with fellow cast members. MARAUDER - EPISODES 1-7 with songs! THE UNKNOWN IDENTITY - A HALLOWEEN TALE! Click to listen...if you dare! 2015: An absolute thrill for me this year was getting to perform to my once-upon-a-time idols, the Kids, at an after-show party for their Fame Reunion concert in Salsomaggiore Terme, Italy on Dec 5th! This is my performance of 'Out Here on My Own' acapella style, and you can also find my version of 'Never Outrun The Night' on the Video page. A special thank you to Erica Gimpel, Jesse Borrego, Nia Peeples and all the fans for their support. It truly was an experience I will never forget! Photos from this event are up in the Gallery. I have now recorded three original songs composed by Ulrik Kilstrom with lyrics by Demelia Denton. 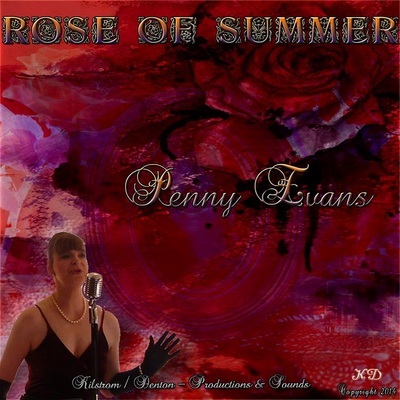 Rose of Summer & Christmas Night were aired on SirenFM in UK and the Night Flight Show in Germany, and on many stations all over the World, including the USA. You can find the videos on my page. 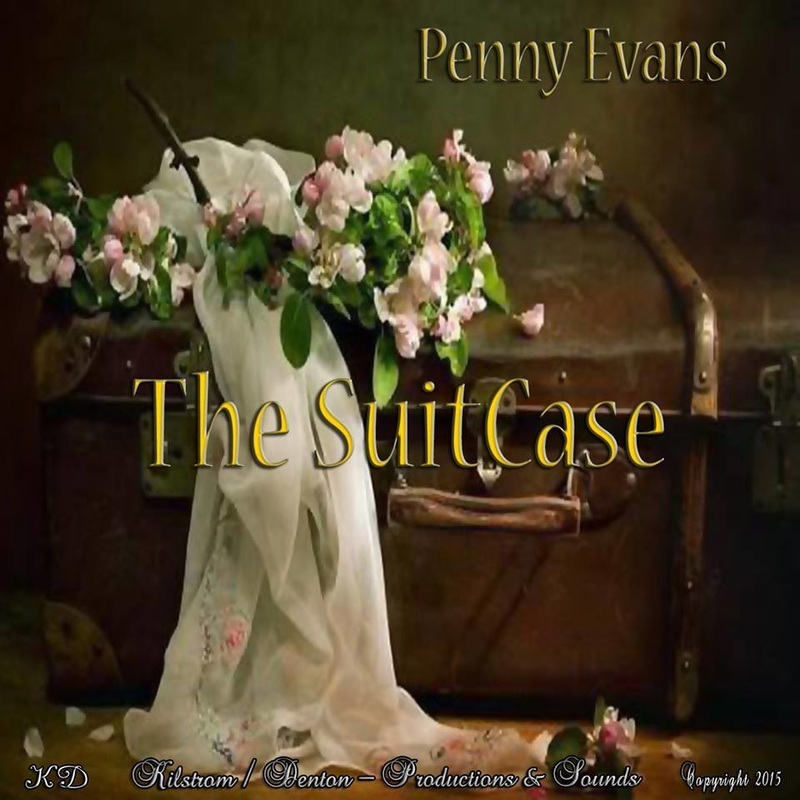 The latest one is The Suitcase which can be found on my Audio page. I have been a guest twice now, on Alex's Midweek Drive at Siren FM radio at www.sirenonline.co.uk/section/shows/midweek-drive and have become their Derbyshire corespondent. My friend's original compositions (including the one I co-wrote) have also been played. I also aired songs through JPF/YH productions on their Night Flight shows for Independent artists all over the World, via radio stations in Germany, Johannesburg & Australia! NB: You can hear more clips from SirenFM & Night Flight shows on my Audio Page. I also became part of a folk/gospel group called 'FLYNN'S GOLD' and we performed for charities and local pubs.. Unfortunately the band is no more, but I was glad to be a part of it while it lasted. Now I'm looking for venues to play locally and singing at various Open Mike Nights. Have enjoyed taking part in the annual Spring Fair in town 2013 - 2015. I started singing at the age of six! My debut was in a school Nativity Play, where I performed 'The Linden Tree' carol, as Mary in the village church. As I grew up, I got involved in various amateur dramatic groups, and also formed a band with my sister and a friend, and raised money for charity. If I remember rightly, we performed outside our house, songs like 'Chitty Chitty Bang Bang', 'Yellow Submarine' and other musical favourites. In the 80's I attended Salford College of Technology for two years, where I trained in the performing arts, receiving my A " Levels in Theatre Studies and Communication Studies, and passing a LAMDA speech exam (Grade 4) with 77% distinction. I trained as a singer during the course, and continued with local teachers, after I had left college. We have a beautiful Opera House in Buxton, where I have been involved in various shows. I worked alongside professionals, in the chorus and in a quintet, in an amateur production of "The Dancing Years," Also been involved in several charity events. I was part of a Gala Chorus group for 4 years, where we performed medley's from musical's as part of a variety act which also involved TV celebrities including soap stars from Emmerdale and Coronation Street, for Imperial Cancer Research. And local projects, which involved creating two completely original musicals from scratch. The first ("Dome" 2000) was about the history of our Devonshire Royal Hospital, which is now the University of Derby. The second was to celebrate the Opera House's 100th year ('House Of Dreams' 2003.) Video recordings were made of both performances. I once worked on the hospital radio at the Devonshire Royal Hospital, finding vinyl discs for the DJ. There was one time, we couldn't find the requested single 'Edleweiss' from The Sound Of Music, so I sang it over the mike. Afterwards I started receiving requests, and ended up having a solo spot! I also made an hour music video, performing numbers I had recorded previously in a studio, and these were distributed to patients and old folks homes. One New Year’s Eve in the 80’s I was interviewed on a local station (when Buxton had one.) I was also lead singer with a local band in my hometown, where we had top billing, in the styles of American rock, blues and folk, and I also wrote some of the lyrics. I teamed up with a lady songwriter, Phil (who heard of me through my regular karaoke nights in town ) and we recorded several of her original songs for the 'Song For Europe' competition over the years. One of her compositions was a Christmas song, which I ended up singing 'live' with a group of school kids, on Radio Derby. During that period I re-recorded several covers at the then Shipwreck Studios in Glossop (run by a guy who used to work in a top London studio.) 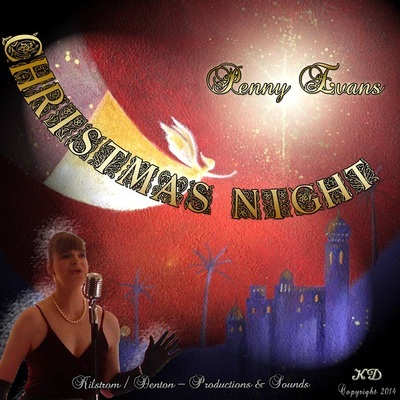 Complete with studio musicians and me adding backing vocals as well, we produced four tracks - Falling Into You, If I Could Turn Back Time, Flashdance and Gloria. As far as I know Laura Brannigan's single has never been re-recorded in the professional world in the UK? I teamed up with another songwriter, who wrote musical tunes (almost Andrew Lloyd Webber style). We started out as 'Duo Novo' raising money for charity at the Hydro Cafe in Buxton. But afterwards he decided to concentrate on his family; one of his sons was an actor in 'Coronation Street' on TV. 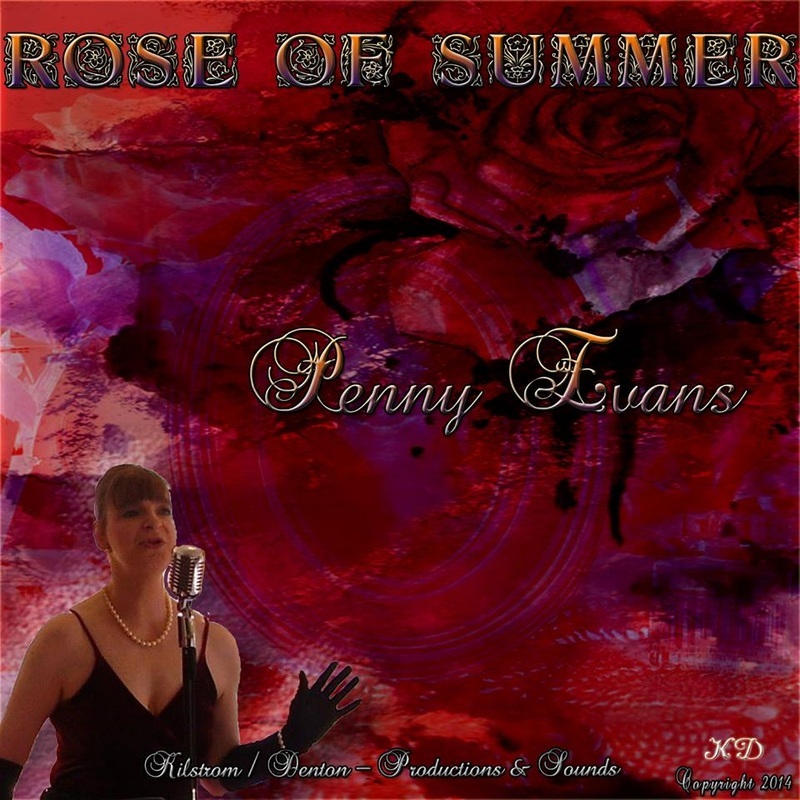 It was thanks to my husband that I finally decided to venture out as a solo artist with my own gig called 'PENNY'S FROM 'EVAN'. The name seemed so appropriate somehow! I perform a wide range of songs on CD backing tracks, from show tunes, to pop & rock. I also got a chance to sing on board ship! Pete ended up chatting to this professional band called 'Rain' on the Brittany Ferries from Plymouth to Santander in Spain. And they gave me a solo spot with them! I once auditioned in Manchester for the musical 'Fame', since I used to be a huge fan of the series. I didn't get the part (and I think the reason had something to do with the fact I have two artificial legs.) Professional musicals require acting, singing...and dancing. The 'Fame' auditors were however very impressed with my rendition of 'Out Here On My Own', and were sorry they couldn't give me a chance. I’ve also had a go at TV Talent shows. I auditioned, then filmed a solo singing spot for ITV's Michael Barrymore's "My Kind Of People" in a large shopping precinct in Gateshead, near Newcastle. I also tried several more including X Factor and Britain’s Got Talent…but never got any further along those lines. I have been in a few choirs. My last one was Chapel Ladies Choir and I was with them for about 9 years. Then I became a founder member of a choir in Manchester. One of the highlights was being part of the congregation for a televised 'Christmas Carols on ITV' which aired on Christmas Eve 2012. Cast members of Coronation Street were involved with special guests (including Russell Watson) and Aled Jones was the host. Now I am guest of honour at the 'Marcliff Singers' concerts, where I perform several solos. One of my personal achievements though, was when I chose to put together a charity event for UNICEF UK on behalf of a fan website dedicated to actor David Duchovny (X Files / Californication.) I managed to raise over £200….then ended up giving him a copy of my performance on DVD in New York in 2010! I have in fact had positive feedback from professionals, including a few from Hollywood, ex-Fame star Lee Curreri (Bruno), John D’Aquino (Quantum Leap, Seaquest, Third Rock From The Sun, Xena) who played one of my demo CD’s in his car all the time! L.A film director Phil Leirness, liked my cover of ‘You Only Live Twice’ and I also gave copies of the DVD to X Files alumni Dean Haglund, Mitch Pileggi and Nick Lea. As for hobbies? I enjoy writing short fan fic stories (and have written 'Fame', 'Q.L.' and X File stories), some of which have been published in various fan zines - one of my XF fics was in a contest on a website...and it won! I have also written poems, and love reading, watching my favourite TV shows, visiting the theatre and cinema. I absolutely love travelling, especially to the States. Going to Q.L. conventions gave me the opportunity to visit many american cities, including, LA, Indianapolis, Kansas and New Jersey. I got quite involved in conventions and organised my own Q.L. one in May 1999, which I held at Buxton's Opera House. I ended up inviting John D' Aquino over from LA, and Dr Who's Colin Baker. I also included a special karaoke night with my american guest star and the fans, which went down a treat! <g> As well as USA I have visited Canada several times. One of my favourite places is Vancouver, where I went on the X-Tour when it was around (which allowed me to see various locations, X Files used whilst filming there.) During one visit, I was invited to sing with a band on a dinner cruise on board a paddle steamer around this beautiful, cosmopolitan city.